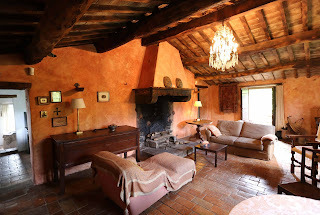 An authentic Tuscan farmhouse located in a peaceful spot about 20 kilometres from Cortona. Owned by a couple of authors since the early 70's Cerri di Sotto hasn't been subject to any unfortunate renovation over the years and is therefore full of original features and character. Below is what the owners have to say about their lovely home. 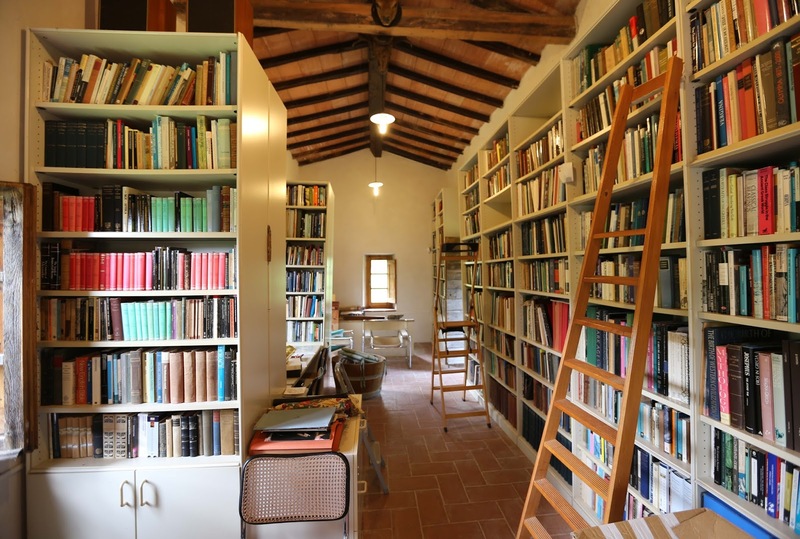 "Our first impression of the Tuscan house that was to be ours was of a grey stone building with a lichen-encrusted red-tiled roof standing above green and scented fields studded with the brightest scarlet poppies and blue cornflowers. The surrounding hills were green and lush with chestnut trees, and the valley was bisected by a dusty white road and a stream which we crossed by footbridge to reach the house. It was June and the air was full of the steady drone of bees. The crickets, disturbed by our footsteps, leapt before us as we walked through the meadows. Little has changed. On entering the house we were enchanted by the great fireplace which soared to the red tiled ceiling with its massive chestnut beams. A fireplace which generations of farmers had sat around in the winters warming themselves at the ardent log fire and where families had sat at a long table enjoying good Tuscan food, much of it cooked over that same fire. The ancient tiles on the floor were made in the valley. And in 1917 as they replaced a stone within that fireplace, the farmers found a hoard of gold coins hidden in the wall. Though beautifully enlarged in the 19th century in typical Tuscan manner, there are renaissance bricks within its walls and some of its foundations are far, far older. Indeed, an Imperial Roman road runs down through the valley. We have lived in this fortunate and venerable house since 1972. Whilst we have installed some modern amenities and insulated the roof, we have left the main building much as we found it with its original doors and windows, floors and walls. Inspired by the beauty of our green and secret valley and in the quietness of our fields and terraces and bubbling streams we have written six TV series and nine best selling books in this unique environment. Today, the white road from Cortona down to the Umbrian border has been resurfaced but the fields, the forests, the fig trees, the wild orchids, the crickets and the rare butterflies remain. A neighbour has placed beehives in a nearby field and the bees forage in our rosemary and provide delicious honey. And on the banks beside our door wild strawberries grow. It is a rare and happy place with a friendly, thriving and discreet community. In short, we have been blessed to live for so many years in a valley that is so verdant that Italian friends call it 'Paradiso'"
Whether it is a romantic trip in a gondola on Venice’s Grand Canal, a family meal on the terrace of a villa in Tuscany or sightseeing in a Fiat 500 in Rome, the British love the Italian lifestyle. However, in recent years we haven’t been quite so keen to own a slice of la dolce vita. 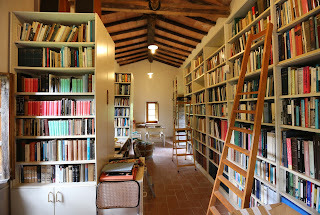 Romantic notions of restoring remote Tuscan farmhouses waned with the economy — ours and theirs. Market confidence is strengthening, residential sales increased by 7 per cent in 2015 and Italy’s consumer confidence index is up 39 per cent since its low in 2012, according to the agency. When combined with a favourable currency exchange — a €1 million (£780,000) home was 12 per cent (£94,000) cheaper in January this year than it was in January 2014, thanks to the strength of sterling — it is not difficult to see why those who had been hesistant might now be willing to buy. Annabelle Dudley, the head of Italian sales for Savills, says that in 2015 inquiries doubled, with people heading back to well-loved holiday spots to buy. Favourites for those looking for family holiday homes are the countryside around Chianti and Lucca in Tuscany, and the lakeside villages of Laglio and Argegno on Lake Como. More popular for those wanting to mix pleasure with business and let out properties are two-bedroom apartments in the cities of Venice and Florence — lured by potential rental yields of 5 to 6 per cent, according to Dudley. Diletta Giorgolo Spinola, the head of sales at Tuscany Sotheby’s International Realty, notes the return of investors to the region’s cities. “Those looking for a good investment should look to city-centre properties in Rome, Florence and Venice. Properties that can be rented out easily and for short periods are snapped up,” Spinola says. Spinola says people are also reluctant to renovate a wreck — seeking instead something ready to move in to, in a convenient location, not too far from an airport and within walking distance of amenities. Property prices hit a low in 2012 and are slowly rising, although they are still some way off their pre-crisis peak. According to Knight Frank, prime property prices rose fastest in Venice (2.1 per cent) and slowest in Sardinia (-3 per cent, see left). Sales volumes in Tuscany, Liguria, Sardinia and Umbria were up, with British buyers most prevalent in Tuscany, the Italian Lakes, Umbria and Sardinia. Average house prices across Italy vary, depending on location and facilities, but generally prices per sq m are lower in Florence and Milan (about €6,000) than Venice (about €9,000) and Rome, which is the most expensive (€12,000), according to Knight Frank. Rupert Fawcett, the head of the Italian department at the agency, says: “What can we expect in 2016? Prices will stay level; we don’t see immediate rises or substantial drops on the horizon. 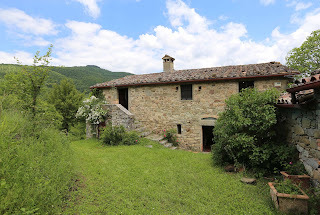 Fawcett adds: “We find buyers are either a Tuscany type, drawn by its rolling hills and Renaissance architecture, or they love Umbria for its rugged Etruscan landscapes; they rarely search in both. The price gap between the two is narrowing. Where Tuscany’s rise to fame in the 1970s means many of its properties are now in need of modernisation — and priced accordingly — Umbria joined the picture later and its properties tend to have been more recently renovated. The recovery is precarious and several clients have reduced their budgets significantly in the past month. Sellers, though, are poised to negotiate — typically offering reductions of 10 to 15 per cent, Bruce says. Buyers are also conscious that they may need to rent the holiday home if times get tougher and are asking for detailed figures on rental options before they buy. For family villas near Lucca, this can mean €3,000 a week in rent for between 20 and 25 weeks a year. What is more, the forthcoming 3 per cent second home and buy-to-let tax being introduced in Britain in April might well make people look again at Italy, which has no capital gains tax and low inheritance tax, she says.